Its been quiet here, in my little corner of the internet. I’ve just been soooo busy. Yes, the usual tasks of motherhood – carpool, dinner, nagging – have kept me busy, but I’ve also been prepping more items for my etsy shop. So, I’m delighted to post these new additions to my store – photo cards! 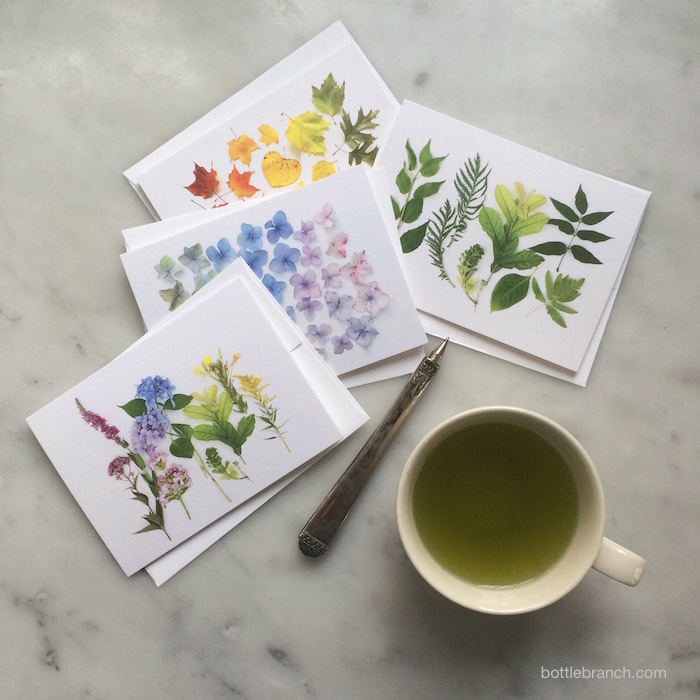 Printed on soft, 130# card stock, that’s both acid free and Forest Stewardship Council certified, these cards turned out to be more lovely than I had hoped. 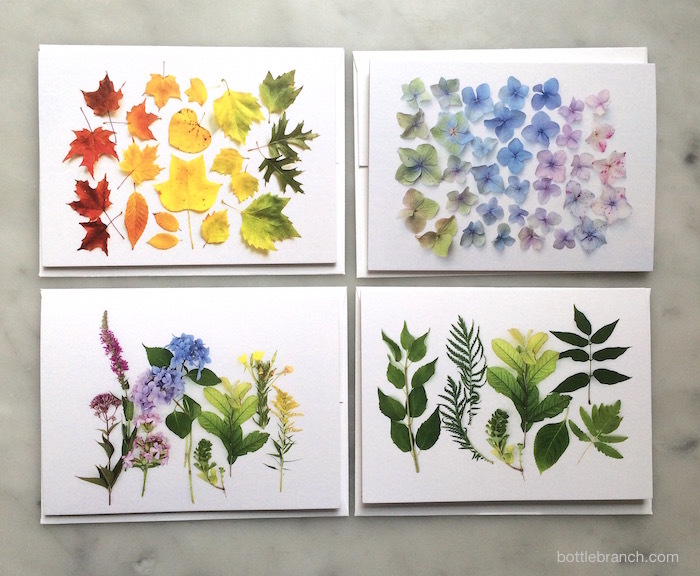 Each design is available in a separate etsy listing: autumn leaf ombré, hydrangea ombré, an array of summer flowers, and an array of green leaves. 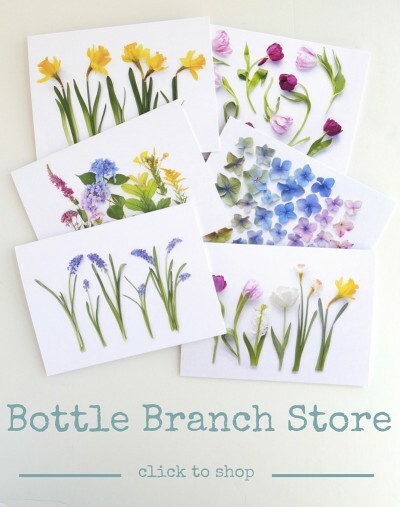 I’ll shamelessly remind you that these cards would make a wonderful present for the avid gardener, plant lover, or anyone who just loves pretty things. I hope you’ll go take a look! Thank you so much, Gina! I really appreciate you taking the time to comment! beautiful! how did you photograph them? on a white background? paper? counter top? Yes! Getting the light right is the tricky part … I can tell you all about it some time! GORGEOUS! Why aren’t you a vendor at the Market? Next year? ?